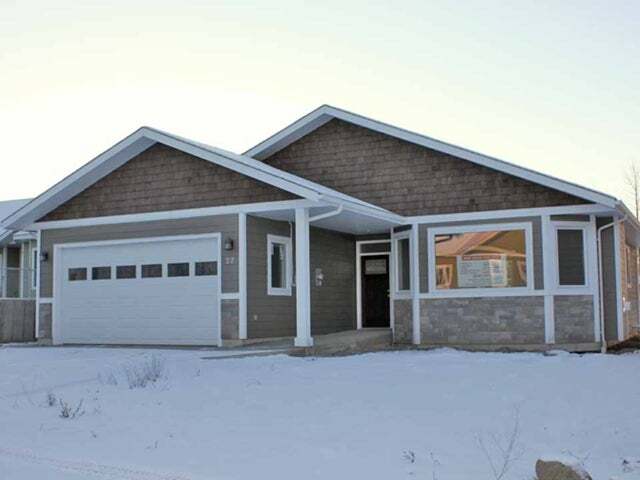 Spacious one level rancher, located at Watson's Landing lakefront development. The rural setting of this community, with municipal services, comes equipped with common property access to Lake Kathlyn and a beautiful view of Hudson Bay Mount ain. This home has a very practical layout with high-end quality finishing. Enjoy the 9' ceiling, engineered hardwood floors, large kitchen and granite counter tops. Access the back deck through the patio doors off the dining room. The double garage and concrete driveway provide plenty of room for parking. There is a 10 year home warranty policy in place for 10 years of structural warranty coverage.